This weekend has been so gorgeous; I feel like summer is already here. The low 80s in the Pacific Northwest in spring? Practically unheard of. 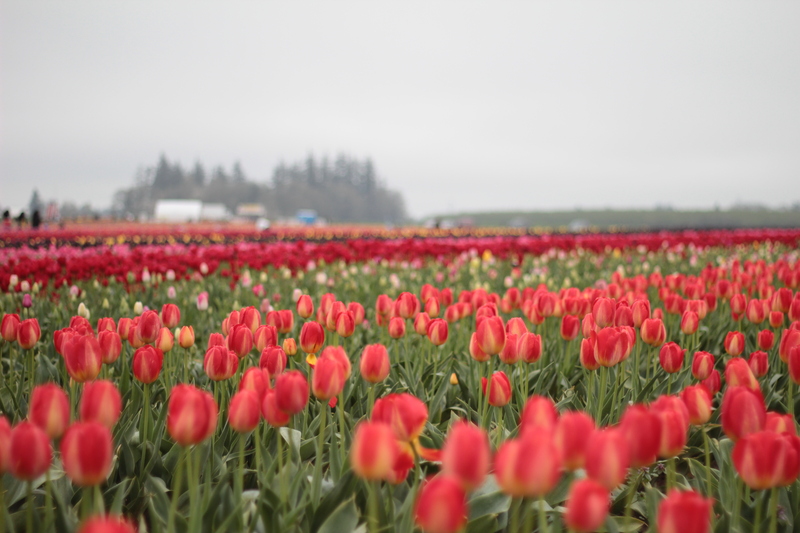 Our family decided to get out and enjoy the beautiful weather by going to the Tulip Festival about 45 minutes south of where we live. I’ve always wanted to go, especially to buy a pair of wooden clogs. I think putting plants in them would look really nice. Yes, I’m weird like that. 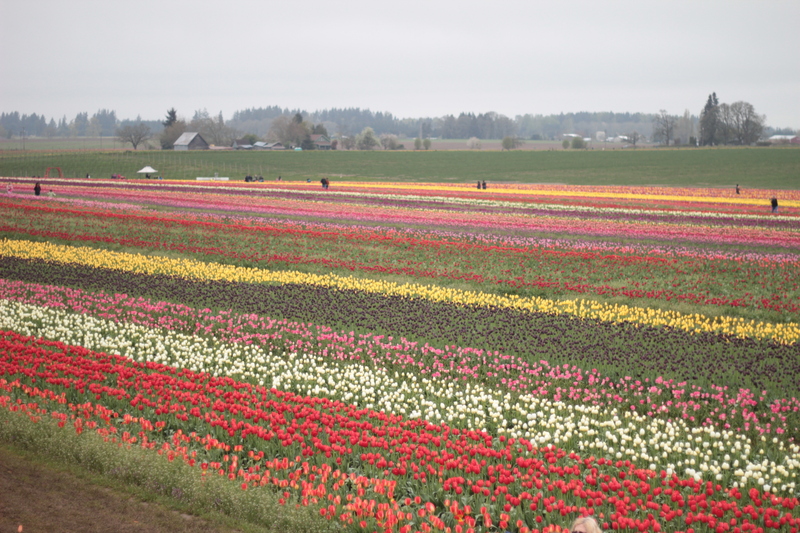 When we got there, I couldn’t believe the amount of color—rows and rows of tulips, with a wide array of vibrant colors. It was like looking at a rainbow. To say I was impressed is an understatement. There really aren’t any words to describe it, so I guess a picture or two will do. Matthew enjoyed tromping through the mud-filled rows, pointing to the John Deere tractors that were nearby. It was just one of those nice days where you could relax, soak in the nice weather, and truly enjoy life. In a mixing bowl with a paddle attachment, cream together the butter and both sugars. Add the eggs, one at a time, beating fully after each addition. Add the vanilla extract. 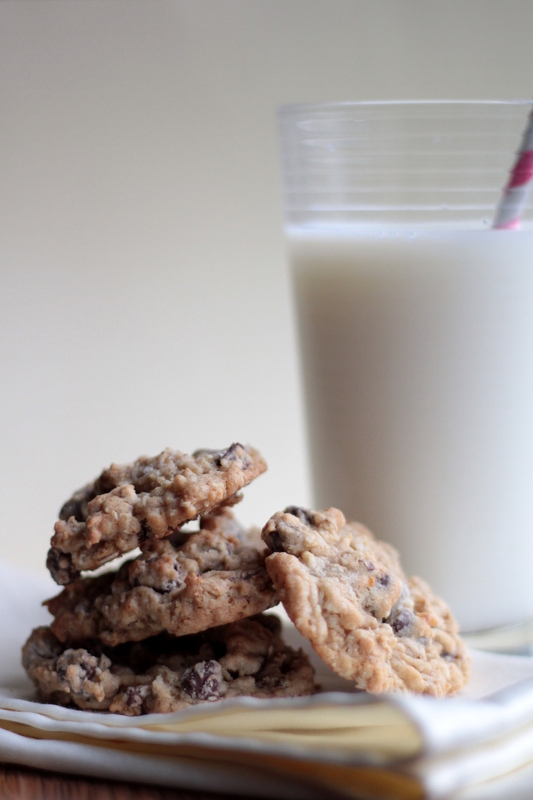 In a separate bowl, whisk the dry ingredients, minus the oats and chips. Add to the creamed mixture. Slowly add the oats, followed by the chocolate chips. Cover the bowl with plastic wrap and chill in the fridge for at least one hour. Preheat oven to 375 degrees. 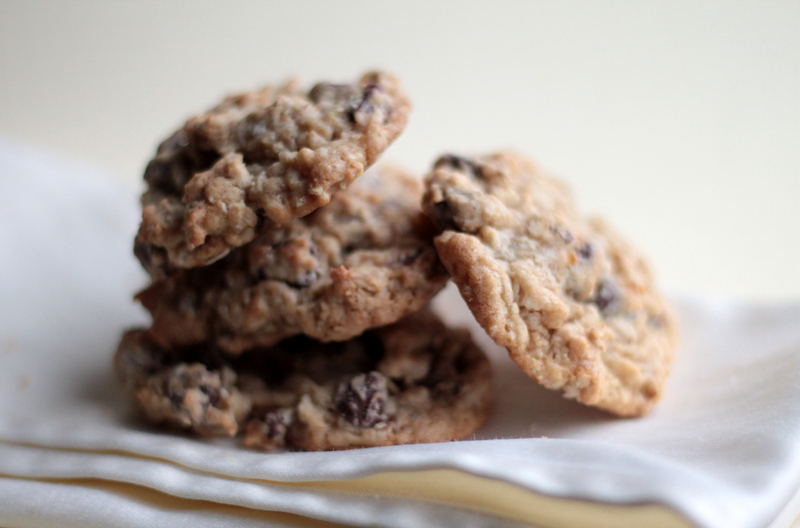 Using a cookie scoop, scoop out batter onto a cookie sheet and bake for 8-10 minutes. Cool for 1 minute on cookie sheet before transferring to a wire rack to cool completely. Store cookies in an air-tight container up to 4 days. 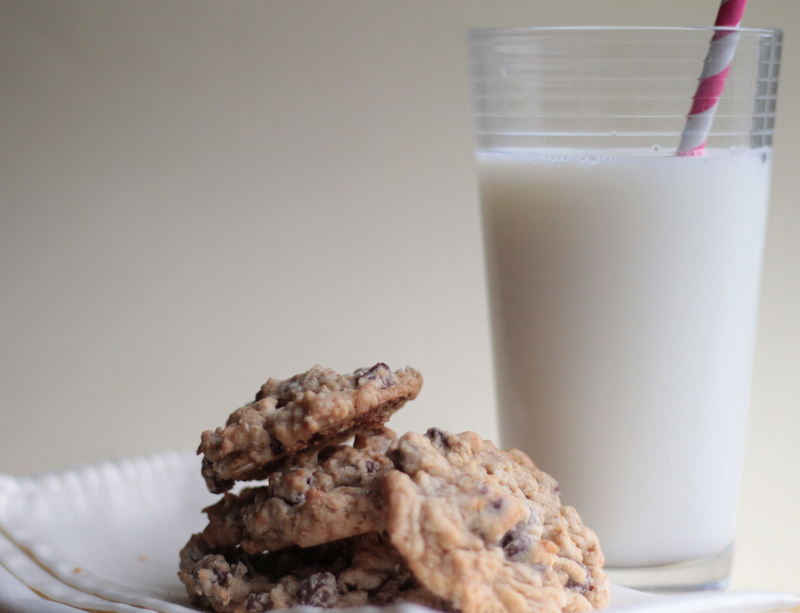 Your cookie recipe came a half an hour too late! I needed to make some and was trying to figure out what would be good. I will try out your recipe next time I guess! Your little boy is adorable by the way. 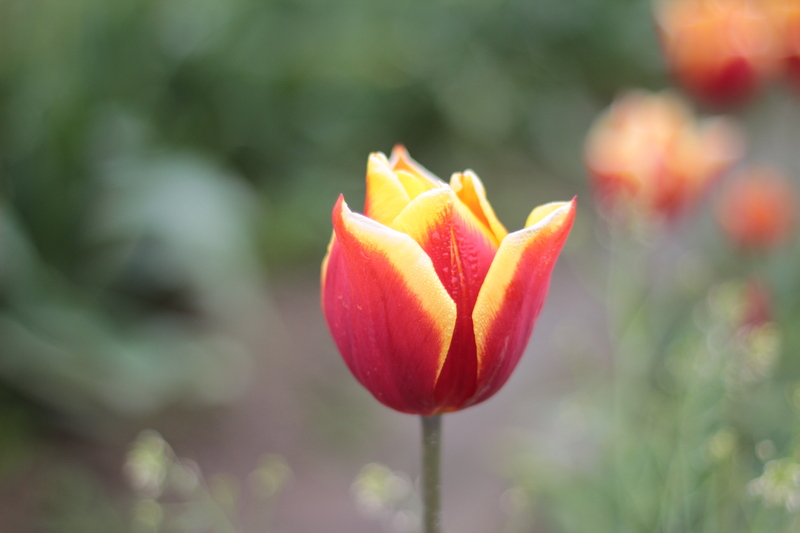 Looks like you had great fun at the tulip fields! Oh bummer that I didn’t get it up soon enough! 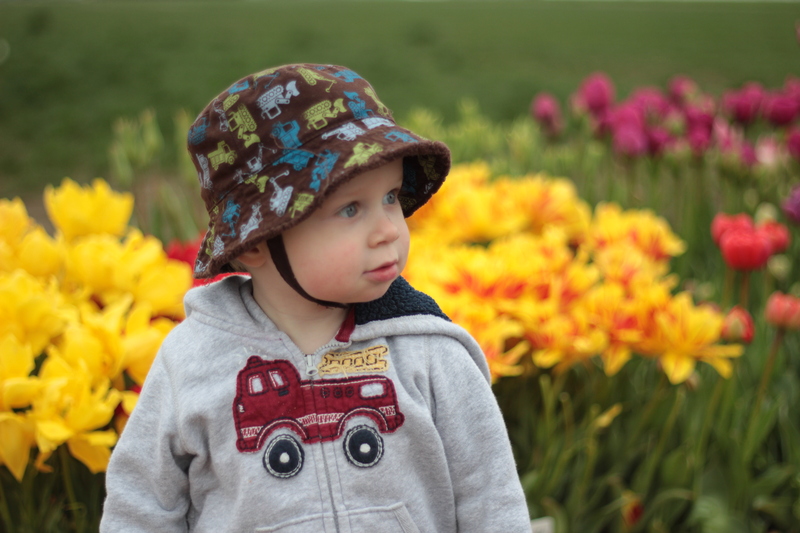 We had so much fun at the tulip festival. I can’t believe I didn’t go sooner!